The Toyota Avalon is a dependable sedan with a large, stylish interior. It’s a great choice for drivers in the Avon, Indianapolis, and Plainfield areas. But, which one of its trim levels offers all the features that you’re looking for? 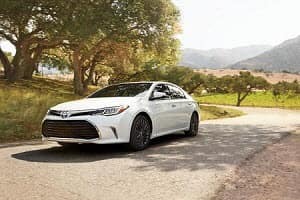 Andy Mohr Toyota helps you decide with this 2019 Toyota Avalon trim levels review. 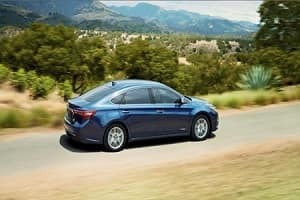 All Toyota Avalon trim levels feature the same powertrain and transmission, beginning with the base trim—the Toyota Avalon XLE. It’s powered by a 3.5L V6 engine with Dual Independent Variable Valve Timing with intelligence (VVT-i). This smart valve system helps the engine get a cleaner, more efficient performance, and get the most out of its 268 horsepower and 248 lb-ft of torque. Working together with this engine is a 6-speed Electronically Controlled automatic Transmission with intelligence (ECT-i) and sequential shift mode. While the transmission provides precision shifting, steering-wheel-mounted paddle shifters give you the option to manually control the gear shifts without a clutch. With the help of both VVT-i and ECT-i features, it has the ability to get up to an EPA-estimated 21 MPG city and 30 MPG[i] highway, making it an Ultra Low Emission Vehicle (ULEV). Inside, this luxury full size sedan features a leather-trimmed steering wheel and leather-trimmed multi-stage heated front seats. There’s classic wood-grain trim with smoked chrome interior accents and door handles. There’s also the 7-inch high-resolution touchscreen display from the Entune™ Audio Plus system that gives you SiriusXM® Satellite Radio, Scout® GPS Link, and hands-free phone capability from Bluetooth®. You’ll also be well protected during your drive with both the Star Safety System™ and Toyota Safety Sense™ P systems. The next available trim is the Toyota Avalon XLE Plus. It adds a couple convenient features to both the interior and exterior. To minimize glare from approaching vehicles, there’s an auto-dimming rearview mirror that also features a compass and map lights. When it’s daytime you can enjoy the power tilt/slide moonroof with sliding sunshade. To make getting in more convenient, there’s now a Smart Key System on both the front doors and trunk, plus a standard pushbutton start and remote illuminated entry. Upgrading the standard technology is the focus of the Toyota Avalon XLE Premium. Two more driver assistance features, the Blind Spot Monitor and Rear Cross-Traffic Alert, are 2019 now standard to help you be aware of what’s around you. Inside, your infotainment system gets bumped up to the Entune™ Premium Audio with Integrated Navigation and Entune® App Suit. It now includes HD Radio™ with Predictive Traffic and Doppler Weather overlay, plus a split screen display. You can also keep your smartphone ready no matter how long your journey is with the Qi-compatible wireless smartphone charging station. For your comfort and convenience, the driver’s seat and outside mirrors have a standard memory system to restore your settings every time you drive. The trim with the sportiest style is the Toyota Avalon Touring. Both the interior and exterior have a distinct style that sets it apart. Inside, there’s black wood-grain-style interior trim. On the outside, the wheels get bumped up from 17 inches on the previous trims to 18-inch dark gray alloy wheels. There’s a chrome front grille surround with piano-black insert and a touring badge, plus LED headlights. The final trim is the Toyota Avalon Limited. It keeps the 18-inch wheels from the previous trim, but replaces the finish with SuperChrome alloy. Just above them there’s color-keyed heated and auto-dimming power outside mirrors. Inside you’ll have more comfort levels for you and your passengers with three-zone automatic climate control, plus a power rear window sunshade. You can even set a relaxing mood with White Ice interior ambient lighting. The front seats are now both heated and ventilated and feature a 10-way power-adjustable driver’s seat with power lumbar support and an 8-way power-adjustable front passenger seat. Whichever one of the Toyota Avalon trim levels interests you, come visit us at Andy Mohr Toyota to take a test drive. Each one offers a comfortable, safe, and luxurious drive around Avon, Indianapolis, and Plainfield. EPA-estimated city/highway mileage. Actual mileage will vary.